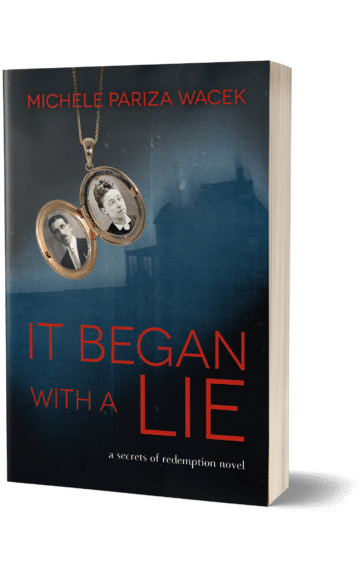 The first book in my “Secrets of Redemption” series, “It Began With a Lie” is set for release on September 10, 2018! You can pre-order it for your Kindle right now, here. I also have a confession: Yes, I had been talking about a summer launch for this series, but it’s actually going to be September. And while that is technically still summer (as it’s before the Fall Equinox), it sort of feels like the season will have passed. When you’re launching something new, and especially when you’re working closely with your muse, there’s a dance going on–a dance between moving forward and launching and meeting your deadlines, and not rushing the process, to make sure the work is the absolute best it can be. This gives the muse time to show up, and be fully represented. I started this book March 2015, roughly four months before my mother’s death (which changed everything for me). At the time, I hadn’t written a word of fiction in over eight years. And, that rustiness was reflected in the herky-jerky creation process that brought this book to life. • The writing process itself felt unnatural; I was unable to get into my usual writing flow. • Plotting suddenly got a lot more complicated when I realized (after I had written over 100 pages) that this was actually a three-book series–not a stand-alone book. • Character development took a hit. I realized Becca had been reflecting more of MY emotional state (which, since I was witnessing the death of my mother, wasn’t pretty) rather than her own. So, after multiple editing sessions and false starts (I actually had a final PROOFED version of this book ready to go a year ago before I put the brakes on everything) … it’s finally ready. 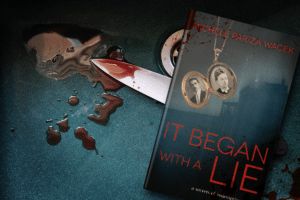 Pre-order “It Began with a Lie” on Kindle.